The story broke into the public sphere after the case of Faye Burdett, a two year old who died after contracting meningitis B. She had been deemed, by the government’s vaccination program for the virus, to be too old to receive protection and her parents subsequently campaigned to have the age of vaccination raised to 11 years old. In reaction, the government revealed that the findings of a report into the matter would be disclosed by the end of 2016, but this self-imposed deadline subsequently came and went. The report has finally been published after under Secretary of State for Primary Care and Public Health, Steve Brine, had been due to answer questions the following day in parliament as to why the report had not yet been published. Inside the report, originally commissioned in 2014 and entitled Consultation on the Cost-Effectiveness Methodology for Vaccination Programmes and Procurement, comes a recommendation to reduce the spending on vaccination. 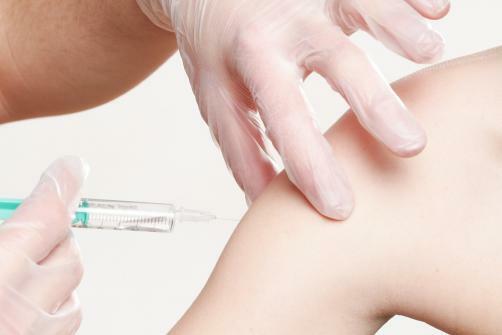 This point was seized upon by Vinny Smith, Menintigitis Research Foundation Chief Executive, who said: “One recommendation suggests that the maximum amount the NHS is willing spend on the benefits offered by a vaccine should be reduced. Any disadvantage to vaccines compared to treatments isn’t fair – decisions on health need to be fair. “And reduced spending isn’t the answer. Compared to other countries with advanced economies the UK already spends a lot less on health. Evidence on the public’s willingness to pay for health benefits suggests spending should be higher. As mentioned by Smith, a consultation process will take place over the next three months to determine which of the recommendations made by the report will be followed.